Taking to their Twitter handles, critics and the fans alike unleashed their excitement for the upcoming movie and it is evident that they can't wait for the laugh riot to hit them. 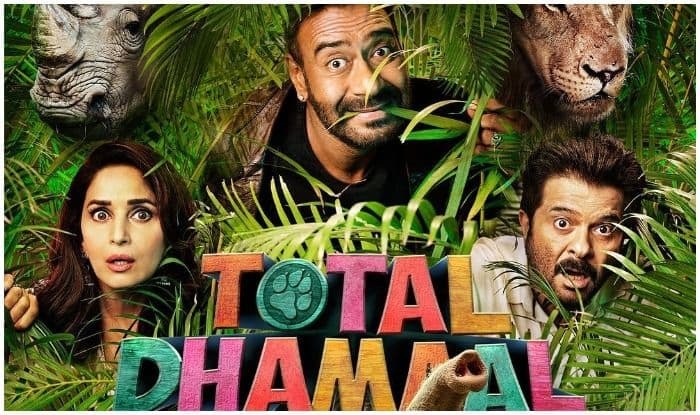 In what looks like a promising comedy, Total Dhamaal, released its trailer today and seems all set to tickle the funny bone of the audience with a star-studded cast including Ajay Devgn, Anil Kapoor, Madhuri Dixit, Johny Lever, Riteish Deshmukh, Arshad Warsi, Jaaved Jaaferi and Sanjai Mishra. This will be Indra Kumar’s third installment of the famous Dhamaal movie franchise and the netizens are already holding their sides after watching the trailer and laughing until it hurt. Taking to their Twitter handles, critics and the fans alike unleashed their excitement for the upcoming movie and it is evident that they can’t wait for the laugh riot to hit them. While some called it a “hilarious non-stop roller coaster ride,” some others called it “a perfect blend of adventure, humour and drama!” but the majority just can’t wait to watch the movie. sure shot Blockbuster comedy Wildest Adventure of the year. "Ise samajhle ROPE this is your last HOPE"
The trailer gives a sneak-peek into the money chase and adventurous jungle safari that the story revolves around. Beginning with an action sequence where a car is being crushed by a moving train, the trailer then shows Anil Kapoor and Madhuri Dixit falling off a waterfall and Ajay Devgn being attacked by a lion. With Anil’s Gujarati accent, Johny Lever’s perfect comic timings and rhinos, snakes, tigers and lions, the trailer is all about wildlife adventure, money chase, fun and blockbuster written all over it. Apart from the main cast, actor Sonakshi Sinha has also got a special appearance in the film. She will be seen in a dance number, a remake of popular song Mugda, with Ajay. The song was originally picturised on Helen in 1971 Hindi film Inkar. Helmed by Indra Kumar and bankrolled by Fox Star Studios, Ajay Devgn FFilms, Pen India Limited and Maruti International, the movie is all set to hit the cinema screens on February 22.